One look at the past and we will find that history is filled with many stumbling blocks. The path walked by our forefathers was not always smooth. They had their fair share of mistakes and blunders. Some of these blunders started as tiny mistakes, but with time they grew to be big enough to change the course of history. Let’s take a look at the biggest mistakes ever made in history. 1. 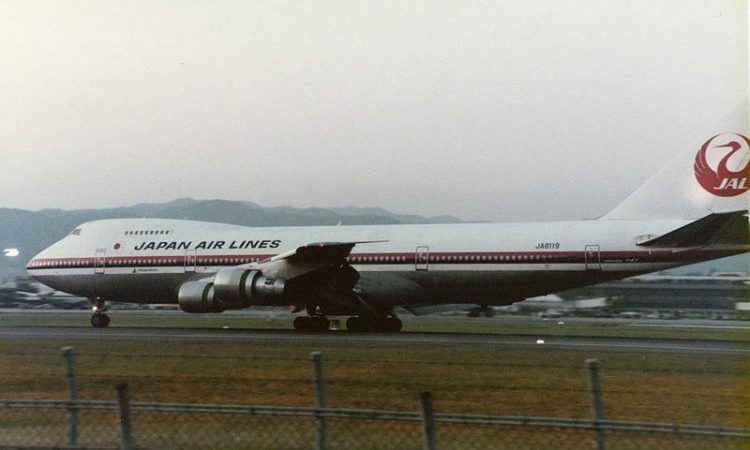 A faulty repair of a Japanese Boeing 747 resulted in 520 deaths, resignation of Japan Airlines then President, the suicide of an inspection engineer, a guilt-stricken maintenance manager, and a one-third drop in air travel in Japan. On August 12, 1985, Japanese Airlines Flight 123 was scheduled to travel from Tokyo’s Haneda Airport to Osaka International Airport, Japan. Twelve minutes after the takeoff, the Boeing’s aft pressure bulkhead burst open. As a result, the aircraft suffered an explosive decompression which allowed unpressurized air to rush into the cabin. The ceiling around the rear laboratory started collapsing. The pilots somehow managed to keep the plane in the air for next 32 minutes after which it crashed in between the ridges of Mount Takamagahara. 2. 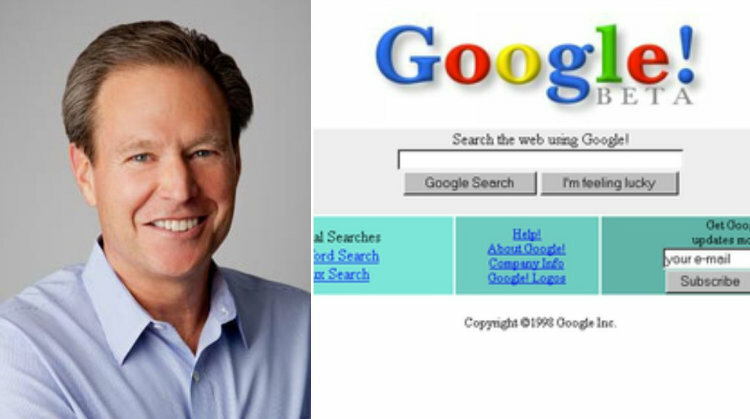 Google founders Larry Page and Sergey Brin approached Excite CEO George Bell in 1999, to sell their search engine at $1 million. After rejecting the initial offering, the pair went down to $750,000, but Bell still rejected it. Today, Google is valued at around $498 billion. Google was founded by Larry Page and Sergey Brin in January 1996 when they were both Ph.D. students at Stanford University. In the beginning, they called it “BackRub.” Later it was changed to Google. 3. During Mao’s China in 1958, thousands of sparrows were killed because they were believed to be pests. As the sparrows decreased, locusts and other insects increased and ravaged crops in China. This led to the Great Chinese Famine which killed 20-45 million people. In 1958, Chinese ruler Mao Zedong introduced a campaign called the “Four Pests.” in to eradicate four pests: mosquitoes, rodents, airborne flies, and sparrows. Among the sparrows, the Eurasian tree sparrow was specifically targeted as it ate grain, seed, and fruits. People started shooting sparrows, breaking their eggs, destroying their nests, and killing the young chicks. Also, the citizens started banging pots and pans which would create noise and wouldn’t let the sensitive birds rest. As a result, hundreds of sparrows died from exhaustion. Within a year, about 220,000,000 sparrows were killed. Just like other bands, Beatles too struggled a lot before their success. They faced many rejections including one from the Decca Records. On the New Year’s Eve in 1961, the Beatles drove for ten hours to reach the Decca Studios located in north London. On 1 January 1962, the band auditioned for the Decca staff. They performed on fifteen different songs in just an hour. The songs were recorded, but eventually, Decca Records rejected them, saying: “The Beatles have no future in show business” and “Guitar groups are on the way out.” Instead, they chose Brian Poole and the Tremeloes, who were a local band and would require less travel expense. 5. Gavrilo Princip, who shot Archduke Franz Ferdinand, got the chance to assassinate him because the archduke’s driver made a wrong turn. Had the driver gone the right way, World War I might not have happened, and the history of the 20th century could have been completely different. 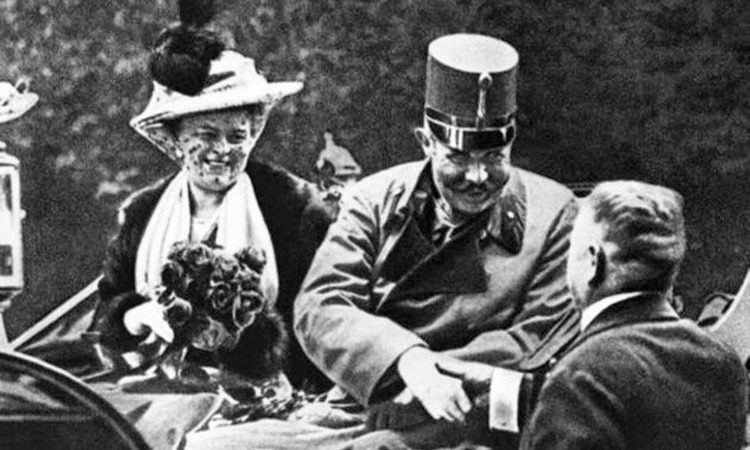 Archduke Franz Ferdinand, the heir to the Austro-Hungarian Empire, and his wife, Sophie, were visiting the capital of Bosnia on June 28, 1914. At the same time, six Bosnian-born Serb terrorists were waiting along the route of archduke’s entourage. They wanted to avenge the 1908 annexation of Bosnia by the Dual Monarchy of Austria-Hungary. When one of the terrorists got the opportunity, he threw a hand grenade at the archduke’s car. But the archduke and his wife escaped the attack, and the grenade only wounded other members of the entourage. The angry archduke arrived at the town hall reception, but instead of going to the museum, the royal party decided to visit the wounded in hospital. But while driving towards the hospital, the driver took a wrong turn. The driver put the car into reverse and coincidentally stopped just five feet away from 19-year-old Gavrilo Princip. Astonished at the opportunity, Princip fired twice and killed both the archduke and his wife. 6. 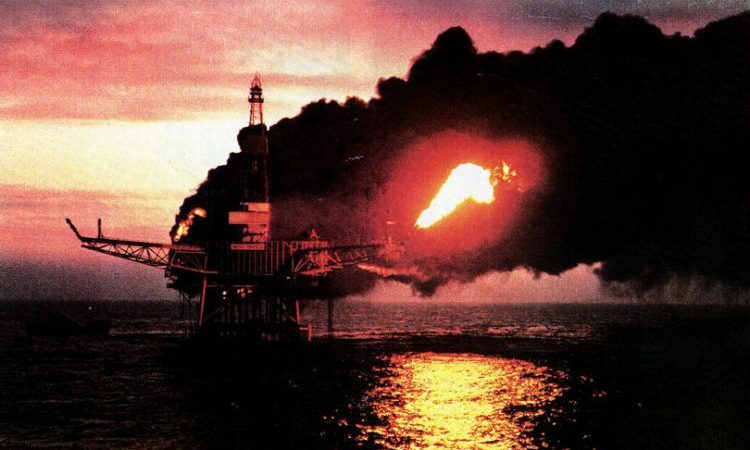 In 1988, due to a communication gap and shift change, the staff on the Piper Bravo Oil Rig were not aware of the lack of a safety valve in one of the pumps. As a result, gas started leaking out leading to a huge explosion killing 167 people and $3.4 billion in damages. Pier Alpha was an oil and gas production platform located in the North Sea. At one time it was Britain’s largest single oil and gas producing platform. The explosion on the rig occurred during a series of construction and upgrading work. On 6 July 1988 at 12 in the afternoon, the pressure safety valve of one of the pumps was removed for routine maintenance. Since the work could not be completed before the shift ended, it was temporarily sealed, but the safety valve was not set in place. 7. 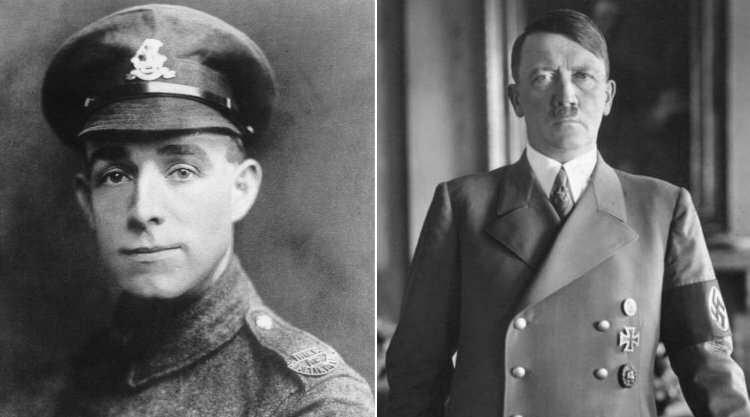 English soldier Henry Tandey came face to face with young Adolf Hitler on a French battlefield during WWI but decided to spare the wounded soldier’s life. Had Tandey shot Hitler that day, the world would have been saved from one of the most reviled dictators and mass murderer of all time. In 1938, a British war hero of First World War, Henry Tandey, received a phone call from Prime Minister Neville Chamberlain. The Prime Minister had just returned from Germany after a fruitless meeting with Hitler to persuade him not to start another war. In Germany, Chamberlain was invited to Bavaria, Hitler’s hilltop retreat, where he was shown a reproduction of the famous painting “The Menin Crossroads.” The painting depicted a soldier carrying his wounded comrade on his back at the Battle of Ypres in 1914. The man carrying the wounded soldier was Henry Tandey. 8. 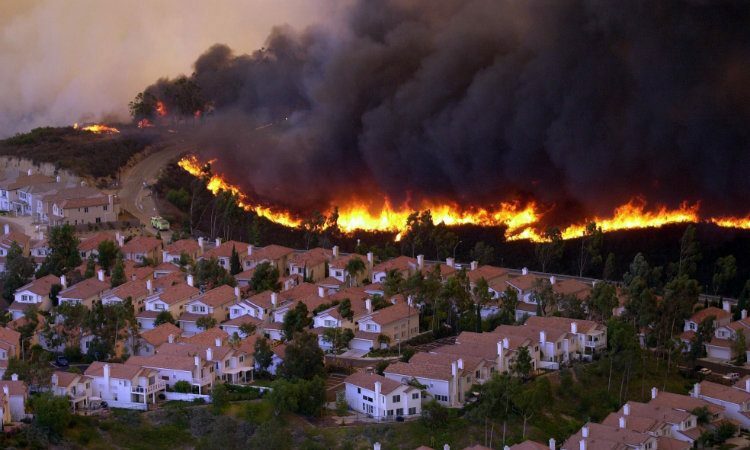 The biggest fire in California history, the Cedar Fire, was caused by a hunter while he was putting out flares but ended up in spreading the fires over 270,000 hectares costing the lives of 15 people and an estimated loss of $1.5 Billion. The story of Cedar Fire began on 25 October 2003. Sergio Martinez, a hunter from West Covina, was lost in the Cedar Creek Falls of Cleveland National Forest after being separated from his partner. As the sun started going down, Martinez lit a signal flare and sent it high into the sky to mark his location. By then, his partner had called for help on a cell phone. As help was approaching, a person who resided near the forest noticed smoke. When he called 911, he was told that it’s nothing and the police already know about it. But by 5:38 p.m., calls started pouring into 911 reporting the growing blaze. When San Diego CountySheriff’s Deputy Dave Weldon arrived in his helicopter, the flames covered an area about the size of half a football field. He radioed for air tankers and helicopters. At 6:05 p.m. he found the lost hunter Martinez and carried him to the helicopter as he could not walk due to exhaustion. 9. 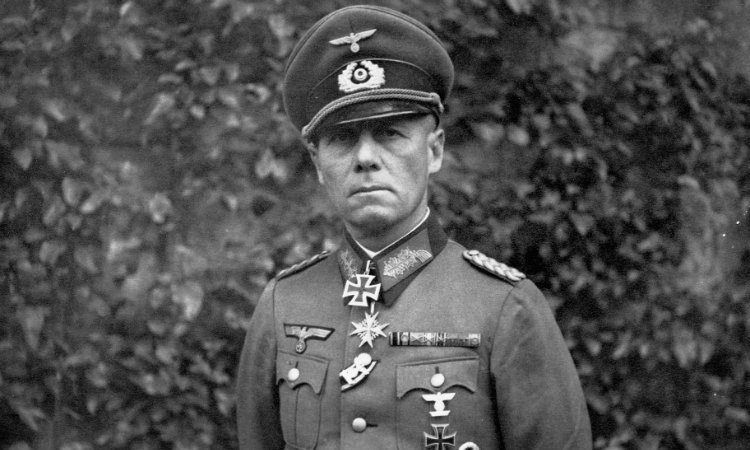 German war general Field Marshall Erwin Rommel was at home celebrating his wife’s birthday when Allies launched the D-day attack. Left without their finest tactician, the German soldiers could not launch an effective counter-attack leading to the Allied victory on the Western Front. The Normandy landing on 6 June 1944 was the largest seaborne invasion and marked the beginning of the Allied victory on the Western Front. The successful invasion of D-day is credited to two things: the weak weather forecasting system of Nazis and the birthday of Mrs. Rommel. According to the Allied forecasters, the weather would improve sufficiently on June 6 to allow landing. But the German forecasters failed to predict the improvement in the weather. Believing that the weather was too bad to make an attack, Rommel went home to celebrate his wife’s birthday. On the same day, many senior commanders of The Seventh Army, which was in charge of the defense of Normandy, went away to Rennes for a war game. Thus, when the Allied force landed in Normandy on June 6, the Nazis were caught off-guard. 10. As it was very difficult for the Russian empire to maintain its territory in Alaska, they sold it to America for $7.2 million. About 20 years later, huge oil and natural gas reserves were discovered underneath. Alaska is now worth billions and billions of dollars more than the price at which it was purchased. According to historians, the first Russian settlement in Alaska began in the 17th century. 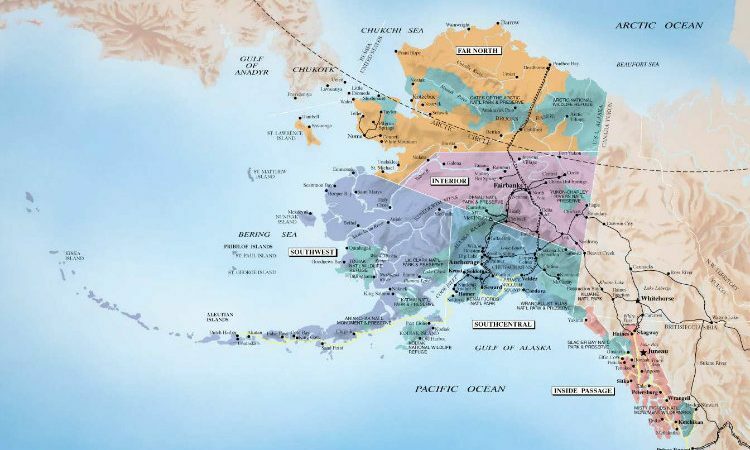 Since then, Alaska remained a part of Russian territory until the late 19th century. During this time, the Russian Empire was finding it hard to maintain its foothold in Alaska due to the constant threat of a war with its enemy, the British Empire. So, Russia negotiated with the US and sold Alaska on March 30, 1867, for 7.2 million dollars.